Can you tell when someone is bluffing? What about your own poker face? Take a chance and join your neighbors for a fun-filled evening of Poker, Craps, Roulette, Blackjack, and of course, delicious cocktails and hors d’oeuvres. 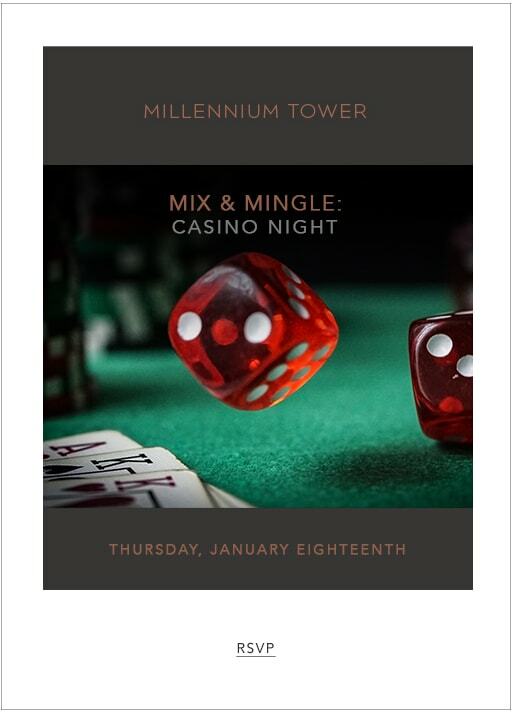 We’re turning the Club into a casino and hoping for a full house, so dress your best and try your luck with fake bucks on Casino Night at the La Vie Mix & Mingle on Thursday, January 18. There will be professional dealers at each table and the top winners will receive fantastic prizes. Game on!